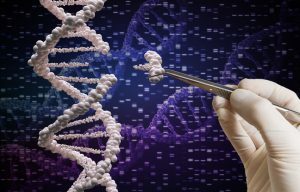 Thermo Fisher Scientific has increased its gene editing technology offering by licensing CRISPR/Cas9 technologies from the Broad Institute and ERS Genomics. Thermo Fisher will now be able to offer its biopharma customers several genome editing offerings through the in-license deals. “Genome editing has unlocked the door for researchers to begin understanding gene function, which is fundamental in unraveling and outlining basic biological processes and disease pathways,” said Helge Bastian, vice president and general manager of Synthetic Biology at Thermo Fisher Scientific. He told BioProcess Insider his firm has seen strong demand for its CRISPR products and services in the research field as well as for its Tal Effector Nuclease (TALEN) products and services. The firm has already licensed CRISPR/Cas9 intellectual property from Korean biotech ToolGen for research applications including the development and sale of reagents, cell lines, and animal models, as well as rights for high throughput screening, diagnostics, and bioproduction. Bastian added Thermo Fisher can help customers determine the best technology for their application, as well as offer genetic engineering services to generate cell lines. The Broad Institute of MIT and UC Berkeley have been wrangling legally over who owns the IP behind CRISPR/Cas9. But having secured licensed from both the Broad Institute and ERS Genomics – the foundational UC Berkeley IP – “the firm has removed as many barriers as possible and ensure a path forward for our customers,” Bastian added. Earlier this month, a US appeals court ruled in favour of the Broad institute by rejecting Berkeley’s arguments for exclusive patent rights to CRISPR/Cas9.